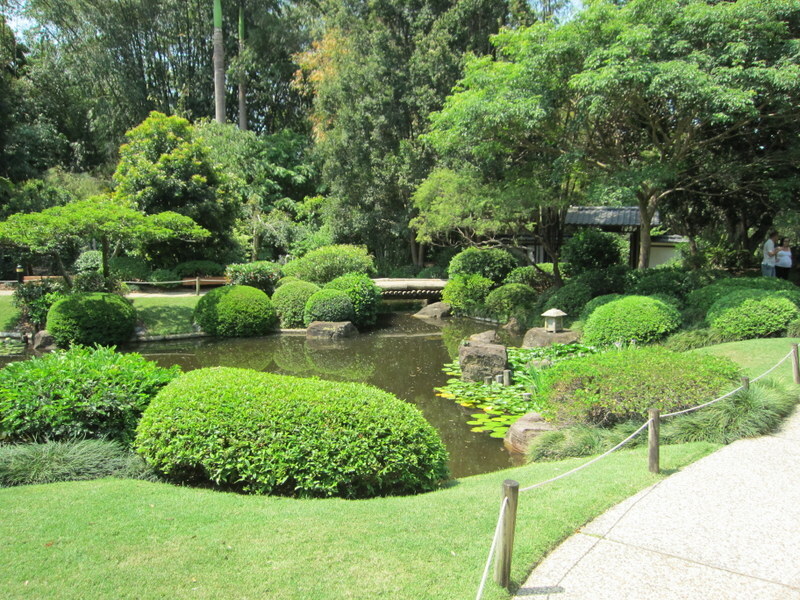 Brisbane Botanic Gardens, Japanese Garden. I haven’t been posting much lately as I have been flat-out with work, life and bonsai. The work and life parts are not that interesting to write about but some of the bonsai things are! Like their beer or not, Queensland is a fun place with some great bonsai and bonsai people! A couple of weeks ago I was invited by the Bonsai Society of Queensland to conduct some workshops and do a demonstration up in Brisbane. I headed up for a couple of days and was kindly hosted by Tony (have a look at his blog: A Bonsai Journey). Before the demo day he kindly showed me some of the bonsai sights around Brissy. 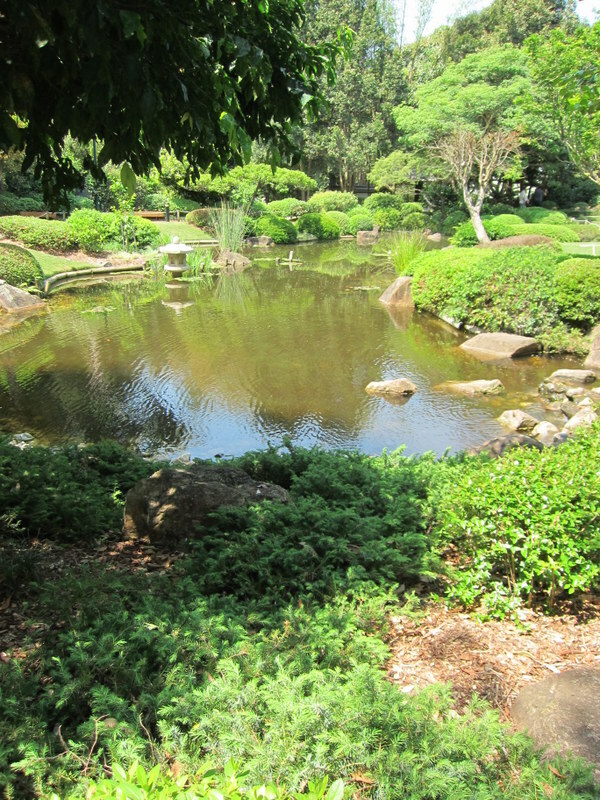 One of the stops was the botanic gardens where they have an exceptional Japanese garden. I was surprised at just how ‘Japanese’ this garden looked. If I had seen photos alone I would have guessed it was in Japan. 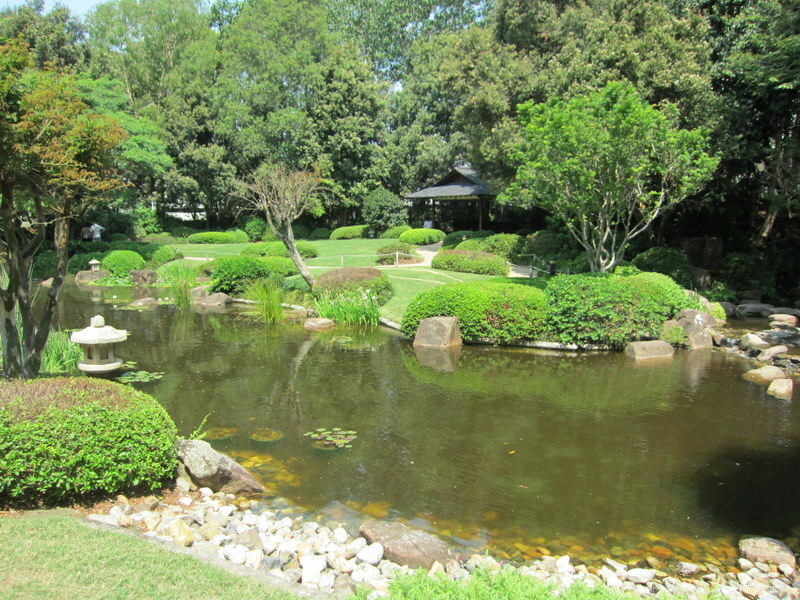 In Australia we have a number of Japanese Gardens but often they are maintained to take on a western look some how. Not the case in Brisbane. 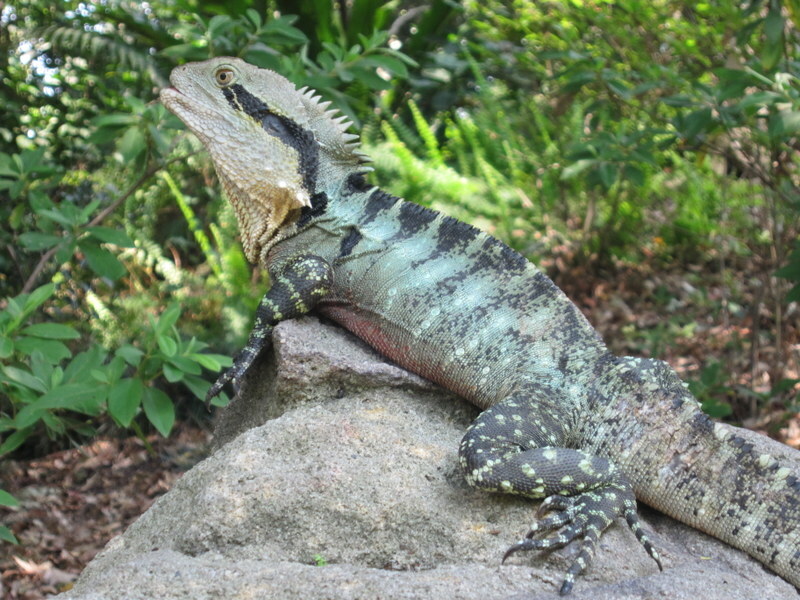 Something you don’t see in every Japanese garden, Water Dragons. One thing you dont often see in Japanese gardens are Water Dragons. There were hundreds of them. Around every bend you would either find one sun-baking or rustling in the undergrowth. A view across the lake. 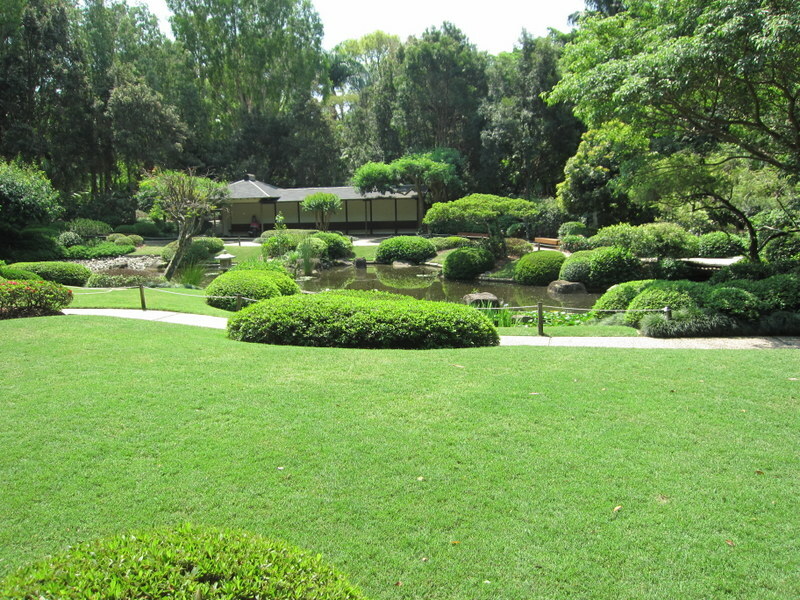 The gardens were built by a Japanese Landscape Architect for the 1988 world Expo and were later moved to this location. An amazing feat because the gardens look as if they have always been there and really fit the surrounding landscape well. One of the only pines in the garden. 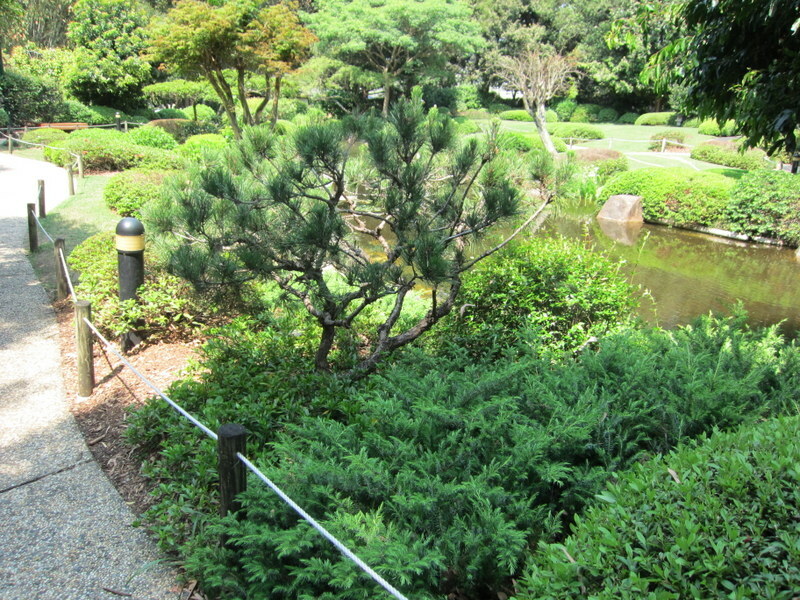 Probably the only hint that this garden was not in Japan was the pines. They were a little under manicured compared to most of those I have seen in Japan. 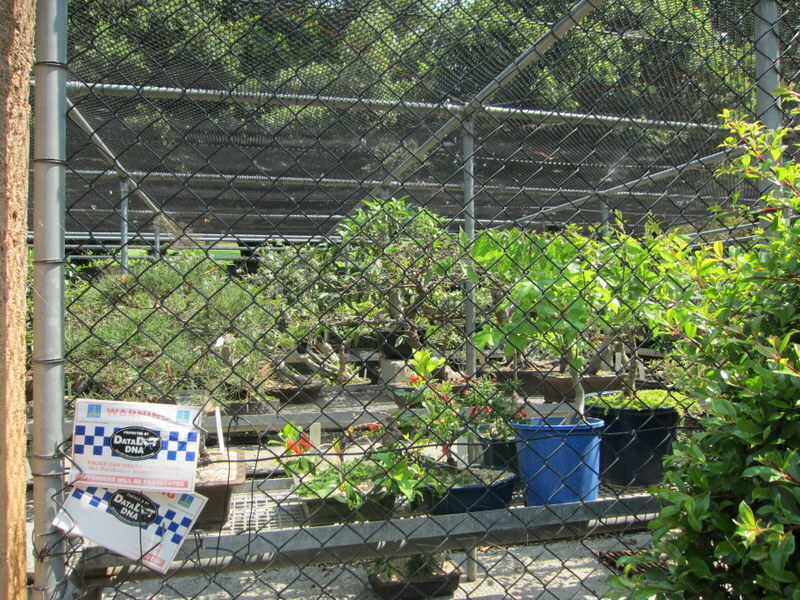 Once we had strolled through the garden the real destination of our visit revealed itself, the bonsai collection. 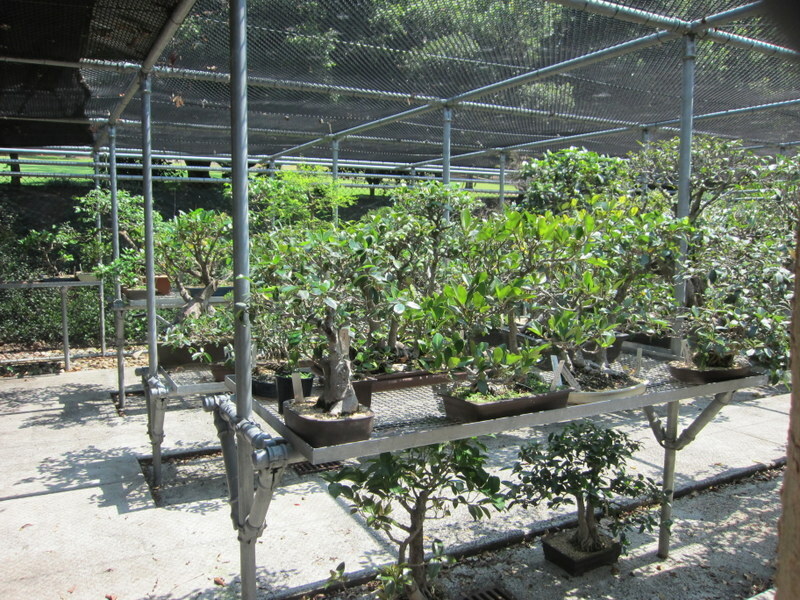 Unfortunately the bonsai collection was undergoing some renovations when we arrived so we had to sneak to the back of house area for a peak at the collection of bonsai. A shot through the fence. 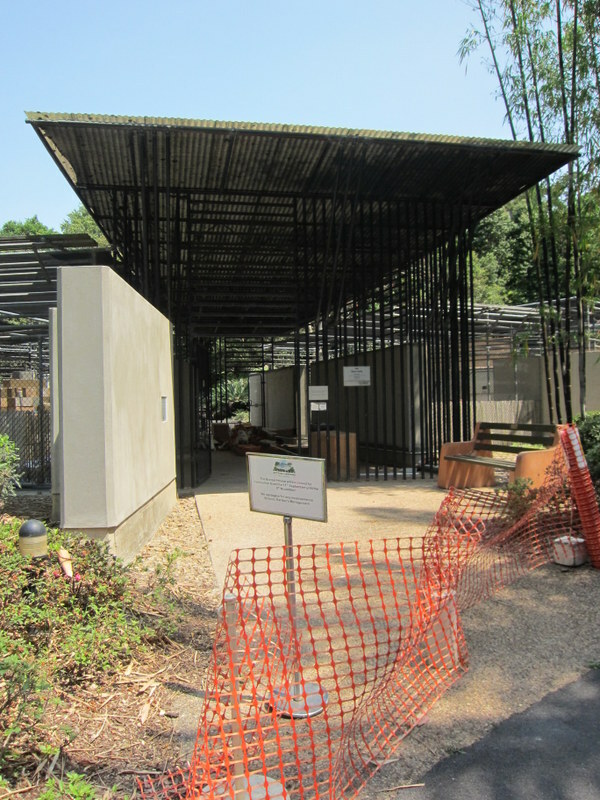 Unfortunately the collection was well locked up which prevented us from doing much more than looking through the cyclone fencing. The collection consisted mainly of old figs that perhaps could have done with a little of the maintenance that the garden next door received. Hopefully the renovation of the collection building will generate some new interest in the bonsai which may get them some more love so that they really shine against the new walls. I look forward to visiting again some time in the future and seeing how they look against the revamped building. For anyone traveling through Brisbane the botanic gardens are well worth a look. The Japanese Garden is fantastic and once the bonsai house is finished the collection will also be worth a visit, not to mention the Water Dragons and rest of the gardens.